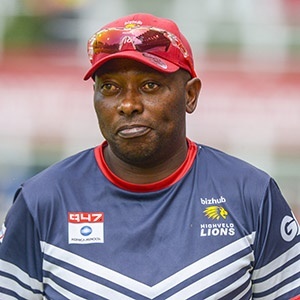 Cape Town - Highveld Lions coach Geoffrey Toyana wants to put their RAM SLAM T20 Challenge loss quickly behind them with a victory over the Cape Cobras at the Wanderers Stadium in Johannesburg on Friday. Both the hosts and the visitors lost their opening matches - the Gauteng franchise crushed by the Titans and their Cape opposition easily ousted by the Dolphins. The match is one of two for both sides this weekend, with the Lions also playing the Dolphins in Potchefstroom on Sunday. "It was a tough one on Sunday against a quality Titans side and it was always going to be that way when you're nought for two in the first over," Toyana explained. "But we've chatted about it as a group and put it behind us now. We've trained well this week and look forward to the next game." Defending champions the Titans have looked almost invincible so far in their two games, the second of which saw them brush aside the Knights on Wednesday. But all the teams are tough to play, according to Toyana. "We realise it does not get any easier because this Cobras side also has four or five Proteas, so it won't be straightforward," he said. "It's still early days with both of us having played one game each and both having lost them. "So we can expect a tough duel against them, just like many meetings in the past. We're at home so we need to make that count. We know the wicket at the Wanderers, which will hopefully help us. We've always done well there, so we look forward to it." Cobras counterpart Ashwell Prince believes the game is the first of two key ones over the weekend. They also take on the Titans on Sunday and the coach said: "It's a very important weekend for us with the two games we have. Last Sunday, the rain arrived at the wrong time against the Dolphins. "Even though we were five wickets down, you never know what might have happened. But the weather is not in our control, so we'll now move on. Hopefully we can get off the mark this weekend and start building some momentum." While the Cobras have plenty of Proteas in their mix, Prince believes the Lions too will be formidable opposition. "There's no easy games in this competition and we'll have to be ready for the Lions," he concluded. "They have a good bowling attack led by Kagiso Rabada, they've got some good spinners and then their batting is also very good. "So we have a lot of respect for them, but we also have a lot of confidence in our own abilities."